Responsive is a website term that is not only critical for your Realtor website, but it is easy to understand and to implement. With so many technical sounding terms that you hear about websites, “responsive” might be the one that you wanted to ask about, but were apprehensive to, just because it sounds so simple. A responsive website simply means that the website is easy to view on any type of device. Most websites look good on a computer screen. But a responsive website has a layout that, well, responds to the different size screens of tablets and phones. Remember the old days of, like, 2012 when you looked at a website on your phone, and the text and images were all really small? And then all of a sudden in 2015, most websites were easy to read and navigate on any device! That’s because it took website developers a lot of time to write the code to make websites responsive. 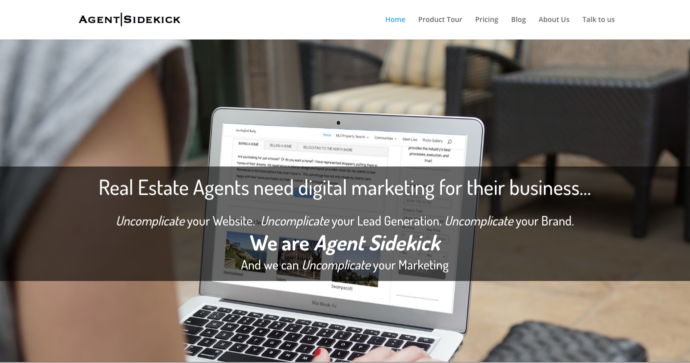 Take a look at the images below of the Agent Sidekick website home page as seen on a computer and image of the same website on an iPhone with its responsive design. See how the layout changes to fit the different type of device?? The Agent Sidekick has the same functionality on both types of devices. Visually, the website looks different on both types of devices so that the user on has the same great experience no matter what device they use. 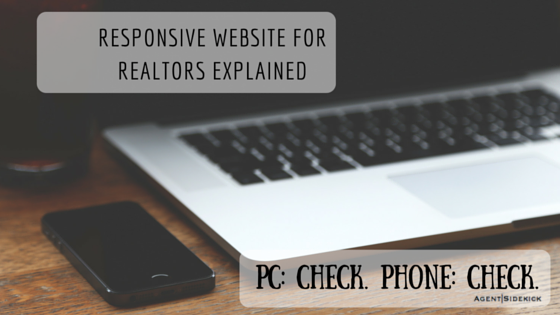 Why is a responsive website so important for Realtors? We all know that people view websites on computers, but a lot of people look at Realtor websites on their cell phones and tablets. In fact, 31% of all website traffic in the United States was done on smartphones and 8% was on tablets as of June 2016, according to StatCounter. The amount of traffic on those devices is increasing all the time. Potential leads are looking at your website on their phone. Your website better look good on their phone, or else those leads are going to go to another Realtor’s website that is actually responsive. Google lowers the rankings of websites that aren’t responsive, as of their April 21, 2015 algorithm update. Google wants to provide a good experience for their users. Understanding that such a large portion of searches are being done on mobile devices, Google wants to ensure that the websites that they return in their search engine ranking page (SERP) are easily viewable on a mobile device. Making your website responsive is actually very easy these days. Any website developer should be able to make a responsive website for you. If you currently have a website that is not mobile response, it is imperative that your website gets updated to give your visitors a good experience on any type of device and so that Google won’t lower your rankings. 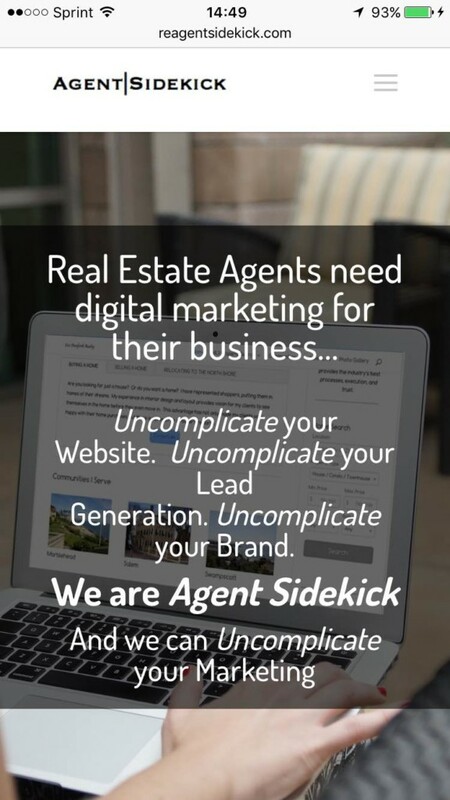 If you are a real estate agent who doesn’t have a website for your business, or have a website that is not responsive, Agent Sidekick can help. Simply contact us, and we will be happy to explain how we can make a website for you that is branded for you, and responsive.